Plücker died in 1868, leaving his book on the foundations of line geometry incomplete. Klein was the obvious person to complete the second part of Plücker's Neue Geometrie des Raumes, and thus became acquainted with Alfred Clebsch, who had moved to Göttingen in 1868. Klein visited Clebsch the following year, along with visits to Berlin and Paris. In July 1870, at the outbreak of the Franco-Prussian War, he was in Paris and had to leave the country. For a short time, he served as a medical orderly in the Prussian army before being appointed lecturer at Göttingen in early 1871. Erlangen appointed Klein professor in 1872, when he was only 23. In this, he was strongly supported by Clebsch, who regarded him as likely to become the leading mathematician of his day. Klein did not build a school at Erlangen where there were few students, and so he was pleased to be offered a chair at Munich's Technische Hochschule in 1875. There he and Brill taught advanced courses to many excellent students, e.g., Adolf Hurwitz, Walther von Dyck, Karl Rohn, Carl Runge, Max Planck, Luigi Bianchi, and Gregorio Ricci-Curbastro. In 1875 Klein married Anne Hegel, the granddaughter of the philosopher Georg Wilhelm Friedrich Hegel. After five years at the Technische Hochschule, Klein was appointed to a chair of geometry at Leipzig. There his colleagues included Walther von Dyck, Rohn, Eduard Study and Friedrich Engel. Klein's years at Leipzig, 1880 to 1886, fundamentally changed his life. In 1882, his health collapsed; in 1883-1884, he was plagued by depression. 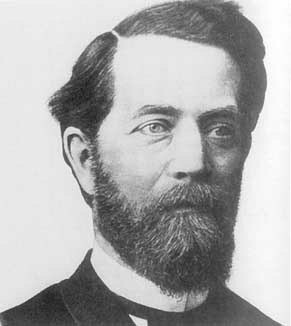 Klein's career as a research mathematician essentially over, Klein accepted a chair at the University of Göttingen in 1886. From then until his 1913 retirement, he sought to re-establish Göttingen as the world's leading mathematics research center. Yet he never managed to transfer from Leipzig to Göttingen his own role as the leader of a school of geometry. At Göttingen, he taught a variety of courses, mainly on the interface between mathematics and physics, such as mechanics and potential theory. The research center Klein established at Göttingen served as a model for the best such centers throughout the world. He introduced weekly discussion meetings, and created a mathematical reading room and library. In 1895, Klein hired David Hilbert away from Königsberg; this appointment proved fateful, because Hilbert continued Göttingen's glory until his own retirement in 1932. Under Klein's editorship, Mathematische Annalen became one of the very best mathematics journals in the world. Founded by Clebsch, only under Klein's management did it first rival then surpass Crelle's Journal based out of the University of Berlin. Klein set up a small team of editors who met regularly, making democratic decisions. The journal specialized in complex analysis, algebraic geometry, and invariant theory (at least until Hilbert killed the subject). It also provided an important outlet for real analysis and the new group theory. Thanks in part to Klein's efforts, Göttingen began admitting women in 1893. He supervised the first Ph.D. thesis in mathematics written at Göttingen by a woman; she was an English student of Arthur Cayley's, whom Klein admired. Around 1900, Klein began to take an interest in mathematical instruction in schools. In 1905, he played a decisive role in formulating a plan recommending that the rudiments of differential and integral calculus and the function concept be taught in secondary schools. This recommendation was gradually implemented in many countries around the world. In 1908, Klein was elected chairman of the International Commission on Mathematical Instruction at the Rome International Mathematical Congress. Under his guidance, the German branch of the Commission published many volumes on the teaching of mathematics at all levels in Germany. The London Mathematical Society awarded Klein its De Morgan Medal in 1893. He was elected a member of the Royal Society in 1885, and was awarded its Copley medal in 1912. He retired the following year due to ill health, but continued to teach mathematics at his home for some years more. Klein died in Göttingen in 1925. Klein's dissertation, on line geometry and its applications to mechanics, classified second degree line complexes using Weierstrass's theory of elementary divisors. Klein's first important mathematical discoveries were made in 1870. In collaboration with Sophus Lie, he discovered the fundamental properties of the asymptotic lines on the Kummer surface. They went on to investigate W-curves, curves invariant under a group of projective transformations. It was Lie who introduced Klein to the concept of group, which was to play a major role in his later work. Klein also learned about groups from Camille Jordan. Klein devised the bottle named after him, a one-sided closed surface which cannot be constructed in Euclidean space. It is best pictured as a cylinder looped back through itself to join with its other end. This is not a continuous surface in 3-space as the surface cannot go through itself without a discontinuity. It is possible, however, to construct a Klein bottle in non-Euclidean space. In the 1890s, Klein turned to mathematical physics, a subject from which he had never strayed far, writing on the gyroscope with Arnold Sommerfeld. In the same vein, he helped edit (with K Müller) the four volumes on mechanics of the Encyklopedie der Mathematischen Wissenschaften. In 1871, while at Göttingen, Klein made major discoveries in geometry. He published two papers On the So-called Non-Euclidean Geometry showing that Euclidean and non-Euclidean geometries could be considered special cases of a projective surface with a specific conic section adjoined. This had the remarkable corollary that non-Euclidean geometry was consistent if and only if Euclidean geometry was, putting Euclidian and non-Euclidian geometries on the same footing, and ending all controversy surrounding non-Euclidean geometry. Cayley never accepted Klein's argument, believing it to be circular. Klein's synthesis of geometry as the study of the properties of a space that are invariant under a given group of transformations, known as the Erlangen Program (1872), profoundly influenced the evolution of mathematics. This program was set out in Klein's inaugural lecture as professor at Erlangen, although it was not the actual speech he gave on the occasion. The Program proposed a unified approach to geometry that became (and remains) the accepted view. Klein showed how the essential properties of a given geometry could be represented by the group of transformations that preserve those properties. Thus the Program's definition of geometry encompassed both Euclidean and non-Euclidean geometry. Today the significance of Klein's contributions to geometry are less than evident, but not because those contributions are now seen as strange or wrong. On the contrary, those contributions have become so much a part of our present mathematical thinking that it is hard for us to appreciate their novelty, and the way in which they were not immediately accepted by all his contemporaries. Geometry with more than 3 dimensions and differential equations, especially equations he invented, namely elliptic modular functions and automorphic functions. Klein showed that that the modular group moves the fundamental region of the complex plane so as to tessellate that plane. In 1879, he looked at the action of PSL(2,7), thought of as an image of the modular group, and obtained an explicit representation of a Riemann surface. He showed that that surface was a curve in projective space, that its equation was x3y + y3z + z3x = 0, and that its group of symmetries was PSL(2,7) of order 168. His Riemanns Theorie der algebraischen Funktionen und ihre Integrals (1882) treats function theory in a geometric way, connecting potential theory and conformal mappings. This work drew on notions from fluid dynamics. Klein considered equations of degree > 4, and was especially interested in using transcendental methods to solve the general equation of the fifth degree. Building on the methods of Hermite and Kronecker, he produced similar results to those of Brioschi and went on to completely solve the problem by means of the icosahedral group. This work led him to write a series of papers on elliptic modular functions. In his 1884 book on the icosahedron, Klein set out a theory of automorphic functions, connecting algebra and geometry. However Poincaré published an outline of his theory of automorphic functions in 1881, which led to a friendly rivalry between the two men. Both sought to state and prove a grand uniformization theorem that would serve as a capstone to the emerging theory. Klein succeeded in formulating such a theorem and in sketching a strategy for proving it. But while doing this work his health collapsed, as mentioned above. Klein summarized his work on automorphic and elliptic modular functions in a four volume treatise, written with Robert Fricke over a period of about 20 years.